Tackle the famous hill climbs in the Matlock/Derwent Valley area. Matlock and the surrounding area is steeped with road biking hill climb history: Bank Road, Riber Road and Rowsley Bar to name just three of the well known ‘infamous’ ascents. The Matlock Top 10 celebrates the richness of the areas steep, 20% plus gradient hill climbs by creating a route that ascends 10 of them in just 61.5 km/38.2 miles. 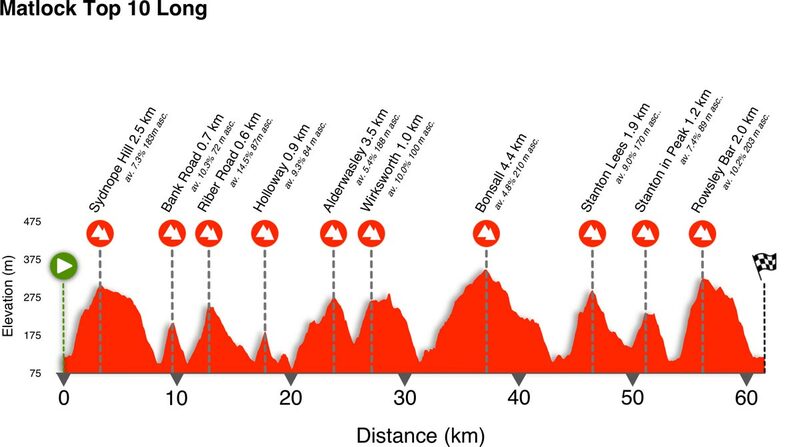 That’s 1736 m of ascent or 5696 ft in old money. 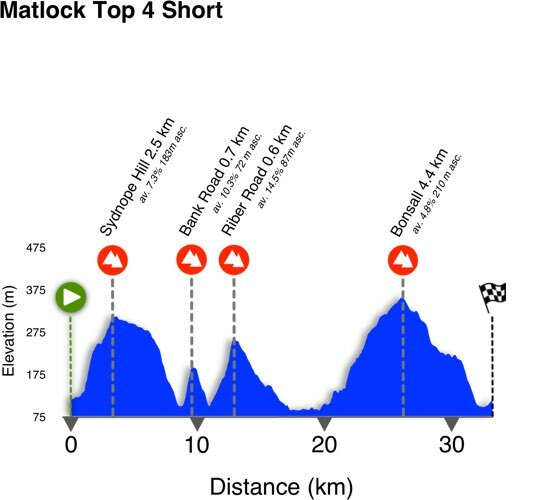 For those looking for a slightly less extreme challenge then the Matlock Top 4 is for you – 32.7 km/20.3 miles based around the same route as the Top 10 but climbing just 4 of the 10 climbs. There is an on site car park at the venue please park as instructed by the marshals. Once the onsite parking is full please park sensibly on the streets nearby i.e. don’t block any residence drives. We highly recommend car sharing wherever possible! 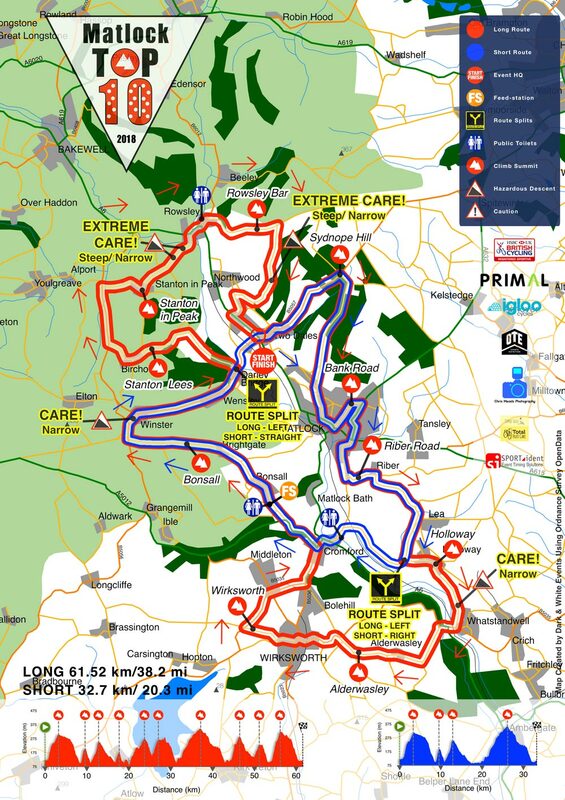 We advise all riders to start before 9:00am to ensure they reach the cut off times!! Late/on the day entries are subject to availability and cost an additional £3 per entry.